I am thankful for my wife, who loves me and put up with my frequent travel and heavy workload. I am thankful for my children, who are – I think – turning out to be kind, loyal, accountable and happy. I am thankful for my extraordinary team at Convince & Convert, who deliver world-class thinking and nearly flawless execution every day. I am thankful for the corporations and agencies who trust me and the Convince & Convert crew to help and support them in digital marketing, in some cases for many years. Your faith in me has built this company, and puts food on all of our tables. I am thankful that Youtility is becoming part of the marketing conversation, and that companies are recognizing that helping beats selling. I am thankful for our many terrific business partners and sponsors, whose support and patronage makes most of what we do here possible. I am thankful for the dozens of friends and mentors – many of whom I met through social media – who improve what I know and how I explain what I know. I am thankful to live in an age where we are constantly connected with one another, and for the kismet and joy and humor that can bring. I am thankful for the many companies and meeting planners who choose to have me spend time with their groups, talking about Youtility and other digital marketing trends. It’s an honor to have those opportunities. I am thankful for my friends in Indiana, Arizona and elsewhere who never want to talk about social media, and just want to hang out and watch football. I am thankful for every tiny scrap of attention you give me, in any channel, as I fully recognize how many information sources you have at your fingertips. I am thankful that our Social Pros podcast is really starting to take root in the industry, and that my outstanding co-hosts have agreed to keep the ball rolling in 2014. I am thankful for the nearly 50 guest bloggers whose work has appeared on this blog in 2013. Your contributions are enormous, especially our regular segments: Baer Facts and Social Media Image of the Week. I am thankful for the tens of thousands of people who let me sneak into their inbox every day with our One Social Thing email. I am thankful to live in a country that even when divided, settles its differences with words, not weapons. I am thankful for the many people who have read Youtility, and are now passing it on to a new circle of readers. That’s how things start as a book, and become a movement. I am thankful for those who have supported me recently in social media and in-person in conjunction with a death in my family. I am thankful to have the opportunity to say for what I am thankful; and to have the means and the technology and the time and the platform and the health and the spirit to do so. 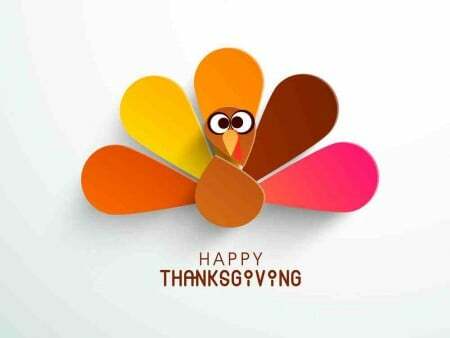 Very best wishes to our USA readers and friends for a safe and joyous Thanksgiving.